Battlefield 1942 is set during World War II in the Pacific, European and Northern African theaters. Its gameplay has a more cooperative focus than previous games in the first person shooter genre, as it is not only important to kill the opposition but to also hold certain “control points” around the map while playing a multitude of classes each equipped for special roles. Brothers in Arms is the most realistic and authentic WWII shooter ever. While other WWII games have sugarcoated the war experience, Brothers in Arms is based on a true story and will immerse gamers into the gritty, uncensored and emotionally-charged side of war. The game puts you in the shoes of Sgt. Matt Baker, a D-Day paratrooper squad leader, and asks you to lead the squad as you balance their lives with the success of the mission. 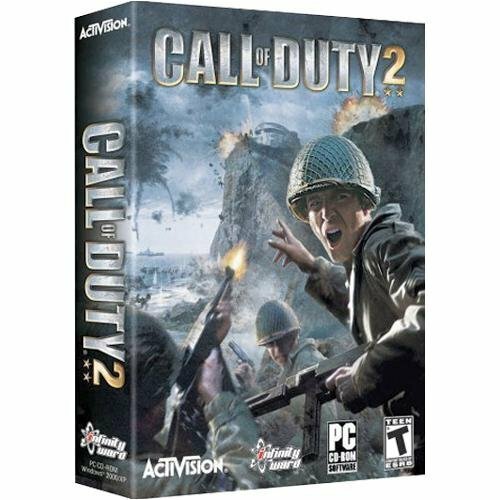 As Lt. Mike Powell, member of the famed 1st Ranger Battalion, you’ll battle through over 20 levels based on historical military campaigns of World War II. Fire period weapons and command authentic war vehicles as you silence the gun batteries at Port Arzew, survive the Omaha Beach landing, and more. 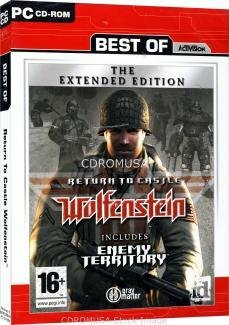 Wolfenstein: Enemy Territory is a free, stand-alone downloadable multiplayer in which players wage war as Axis or Allies in team-based combat in traditional single scenarios, or through a series of linked scenarios in a totally new campaign mode. Red Orchestra 2: Heroes of Stalingrad feature a greatly expanded multi-player experience, with multiple new game modes, a complete first person cover system, destructible terrain, enhanced weapon mechanics and realistic WWII combat made truly accessible. In addition, the game will feature single-player and co-op game modes, allowing the player to play a full campaign from the Russian and, for the first time in a first person shooter, from the German point of view. Tripwire’s renowned weapon handling improved even further, with new features and sounds. And tanks created with fully-operational 3D interiors, hugely enhancing the original game’s vehicle experience. Have you got what it takes to join the original elite Special Force in the World War II shooter Commandos Strike Force? In a new direction for the multi-million selling series, Commandos Strike Force takes you right into the heart of the action from a first person perspective. Take control of the three members of the Strike Force unit, each with their own play style. Switch between the Green Beret, always at the heart of the action with his expertise in combat and the use of heavy weaponry; the Sniper with his nerves of steel and expert marksmanship; and the Spy, stealthily striking at the heart of the enemy.